The bridge has shut down half of its lanes and one sidewalk for ongoing repair work until 2021. The bridge will have one eastbound lane and one westbound lane at all times, and a third lane that will change direction. The NPS had previously told drivers to expect intermittent lane closures over the next two and a half years. Commuters who use the Arlington Memorial Bridge woke up to a major change Monday morning — one that will last for years. 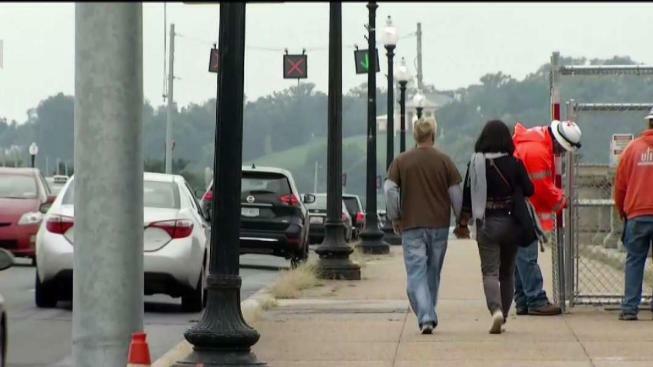 The bridge has shut down half of its lanes and one sidewalk for ongoing repair work, following an announcement from the National Park Service (NPS) Thursday. Crews created a new traffic pattern overnight. For the next two years, there will be one constant eastbound lane and one constant westbound lane, with a third lane that will reverse to accommodate rush hour traffic. That lane will run east into D.C. from 4 a.m. to noon and west toward Virginia from noon through overnight. Drivers will also find detours in the area and should follow electronic signs indicating which lanes to use. 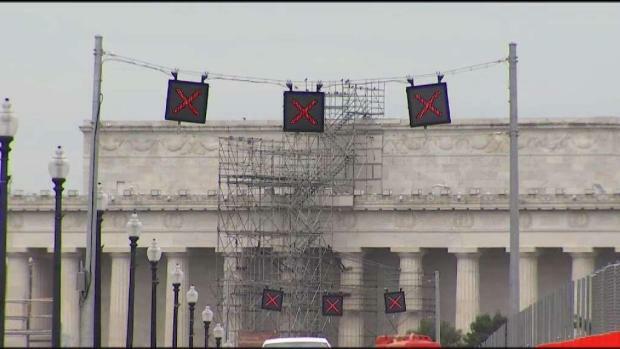 After repeated shutdowns for repair work, the Arlington Memorial Bridge shut down half of its lanes Monday until 2021. "Stay alert; slow down; this is a change for everyone, so drivers, watch out for pedestrians and cyclists," said NPS Chief of Public Affairs Jenny Anzelmo-Sarles. "Cyclists and pedestrians, have a little patience for cars that are also adjusting to this new change." The 85-year-old bridge, which connects D.C. near the Lincoln Memorial to Arlington, Virginia, has had weekend and overnight closures in recent weeks to let crews make repairs. The NPS had previously told drivers to expect intermittent lane closures over the next two and a half years.